By LUDWIG VON KOOPA - An investigation. KoopaTV has had our sights on Pokémon Rumble World for over a month now. More accurately, Ludwig is totally addicted to it. 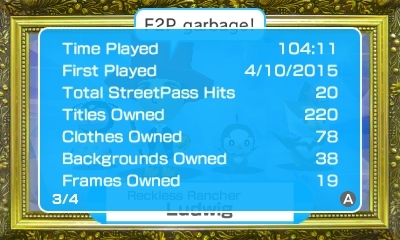 Over 70 more hours since April 20. I now have 715 species of Pokémon collected, which is every single one except Cloyster, Shedinja, Mesprit, and Keldeo. But more importantly, I have bought out every purchasable diamond from the store. So they ran out of supply and still don't have more. Update 6/7/2015: Make that every single one besides Shedinja. Where do we get more diamonds? The source. ...But there is something very suspicious about this. Let's try to dig up diamonds in this mine. It took so long Starly evolved. Awesome! 20 Poké Diamonds mined! LET'S GET MORE! There seems to be an issue here. The mine only has capacity for 20 diamonds a day. Is the machinery only capable of 20 a day? Is it avoiding a Tragedy of the Commons situation? 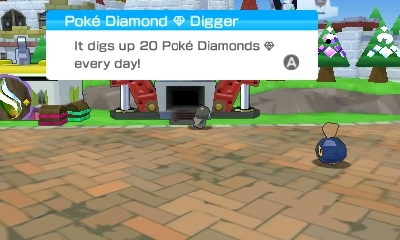 The actual situation is that this mysterious Poké Diamond Digger is... manned by African warlords. We actually know some of them that are nearby KoopaTV's Sierra Leone office. They're okay people if you get to know 'em. The problem is that these warlords do... war things. And they need funding. So if they take control of the land then they can use that funding. ISIS uses oil from the lands they've taken over, and the warlords force enslaved people to mine things. 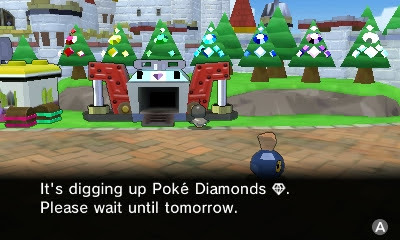 Those 20 Poké Diamonds? That's how many diamonds the enslaved dudes can mine before they pass out from exhaustion. Why can your player character collect the diamonds meant for the African Warlords? ...Well, that's simple. The Toy Kingdom is actually... Sierra Leone. And the King is a warlord. Another beautiful day... to be a dictator. In all of the missions, you are aiding and abetting a warlord who mines blood diamonds. Your goal is primarily to destroy freedom fighters, and the diamonds are the source of the kingdom's wealth. Why else would the Toy Kingdom keep Diancie within the basement? It's that basement that's being mined, with Diancie the source of the jewel production. The Toy Kingdom has blood on their hands... Blood diamonds, that is. Do your part and don't support Pokémon Rumble World if you support freedom. Ludwig hates freedom, so that's why he's spent $27.36 on Pokémon Rumble World and bought out the store. The reason the Sierra Leone office still stands is because KoopaTV has great connections with the local despots. You can interact with Ludwig's file if you friend him at 3DS friend code 3351-5164-3598. For a related epidemic, click here for Nintendo's role in conflict minerals exposed. The Gem Apples from Team Kirby Clash Deluxe are clearly not organic, but there's no conspiracy behind them. The warlords being described as okay people comes back when describing the greater Sierra Leonean population as great people. "It took so long Starly evolved." ...I don't think that makes sense. 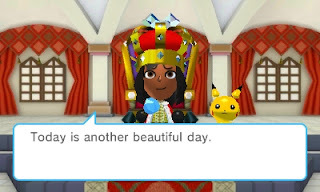 The screenshot before had Starly asking for diamonds. 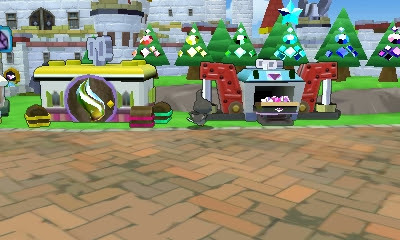 The next screenshot had Staravia there as the diamonds finally came out.